Whole 30 recently under went changes to their allowable foods and published a second edition of their book, It Starts With Food. The major change-the addition of white potatoes. You can read more about their decision to add those little guys on to the list of allowable foods here. Six months in to this lifestyle, I have to say that I haven’t gone back to my previous ways of eating. After completing 80 days on a Whole 30, I ended my strict following of the plan near the end of April. May included the re-introduction diet where I discovered that dairy may have been a lifelong trigger for me. After enjoying a latte and yogurt on my re-introduction day, I became ill in multiple ways – a drunk-like feeling in my brain, becoming lethargic and tired and some 4-month pregnant size stomach bloating. It. Was. Not. Pretty. Straight dairy and I do not get along – I can not put cream in my coffee, eat traditional ice cream or indulge in cheese. I will quickly become “head-achy” and feel the sensation of being slightly intoxicated. I become sleepy and my stomach lets its concerns be known with cramping, bloating and pain. Discovery of the summer – coconut milk ice cream. Delicious and we get along just fine. The owner of my local ice cream shop is vegan! 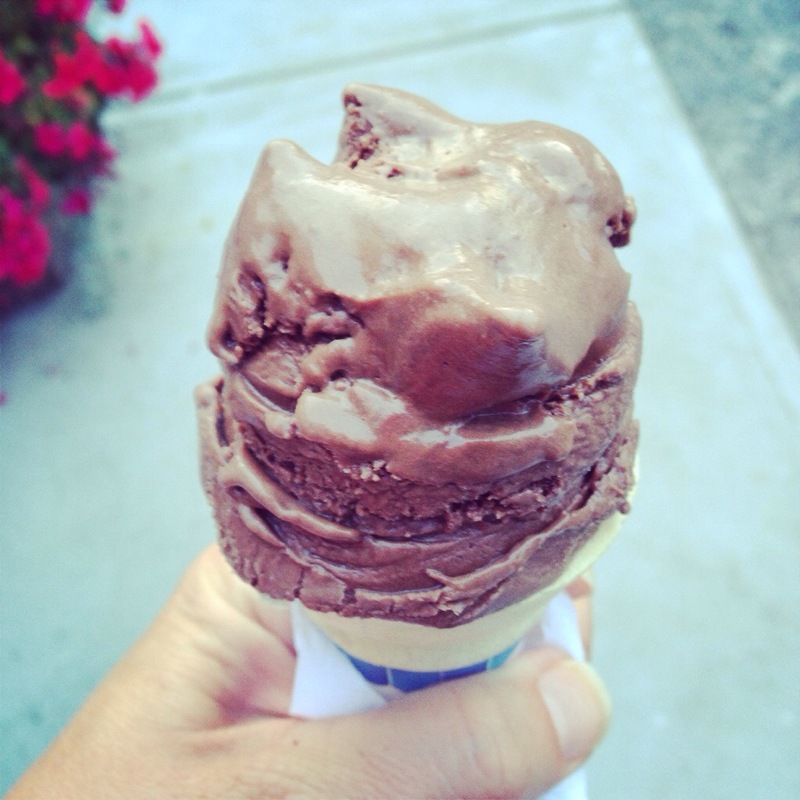 He makes this Vegan Chocolate Fudge Ice Cream in his kitchen. Dairy that has been cooked in an item seems to not affect me as much. I’ve had some traditional homemade pancakes, waffles, quick breads, all of which have included milk in the recipe and I do not feel the intense reaction that I do with the uncooked version. Corn and I are not friends. This has always been a running joke in my family – from the time they were toddlers, my children would warn me against eating a second ear of corn on the cob or another serving of cornbread – and giggle later when I would be overcome with gas from it. TMI, I’m sure, but this is an example of food that I always knew was not my friend, but ate anyway. No more. Artificial sweeteners are also out. I tried a few protein shakes in the weeks after my Whole 30 was over, but most contain some form of artificial sweetener and I am sure to get a headache immediately after drinking them. Stevia, aspartame, sucralose – see ya later. Alcohol, while I’ve indulged a handful of times, always results in a headache. I can hydrate, eat well, do anything to prevent it, but I inevitably have a headache the next day. Even if I only drank one beer. Now, individually, each of these things seems like no big deal. But, what surprises me, what makes me shake my head at myself, was that I was eating ALL of these things while suffering from monthly and even weekly migraines. Had I never done the Whole 30, I might have never identified these triggers, might have continued taking medication and seeking solutions for years to come. I’ve been migraine free for nearly 6 months – the longest I’ve ever NOT had a debilitating headache. I haven’t filled a prescription, haven’t seen a doctor, haven’t done a single thing to change my life other than to change what I chose to eat. That is a victory. 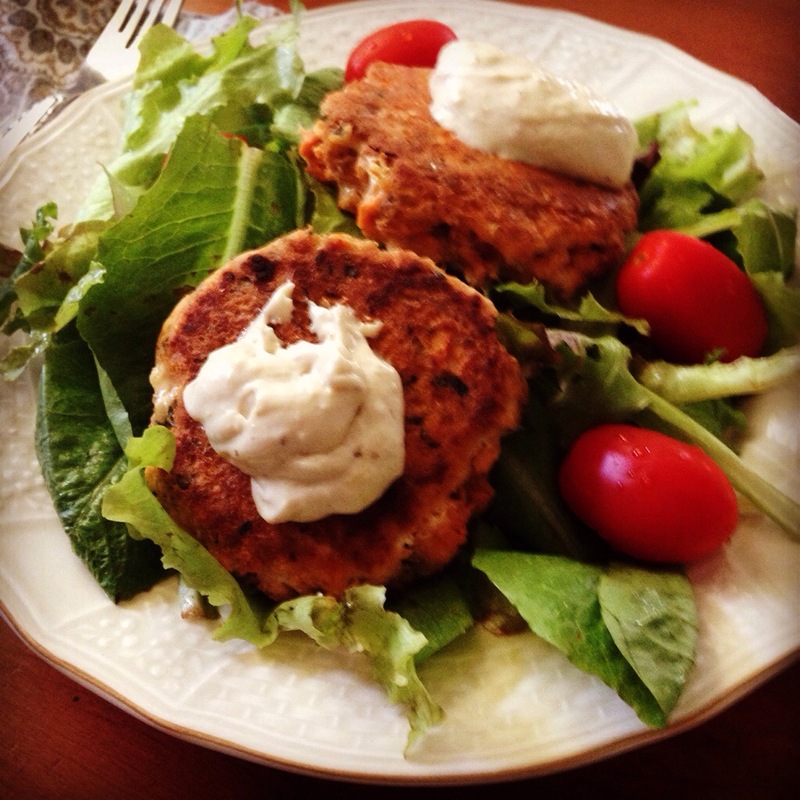 Salmon cakes & homemade Caesar dressing are still a lunch staple for me. Skeletal muscle = 34.2%, Goal = 24.3-30.3 BOOM! Body age = 25 HELL YES! I couldn’t be happier with these numbers. To be honest, I left that bus feeling like a rock star. The Walgreens employee asked me if I was a fitness instructor and I said no. She said “Well, maybe you should be.” Hugging her felt inappropriate, but I almost did. What next? Phil & I are going back to a Whole 30 for the next month. You might be asking why, and here’s the truth – we’re both slipping back in to feeling groggy, lacking energy, missing workouts. We’re running a half marathon together in October, and we’d like to be in great shape for it. We’re also entering in to what is always a stressful month for us. August means we all go back to school, but this August includes some wrenches in the works: I have one more week of yoga teacher training to complete, then I’m going back to a totally new teaching position, Phil ends his new job training and begins his new hours next week, the kids start back to school, and I begin a second new job as a lifestyle coach at the YMCA. It’s going to be a doozy of a month. So, what better time than now to make sure we are eating food that energizes us and makes us feel our best? 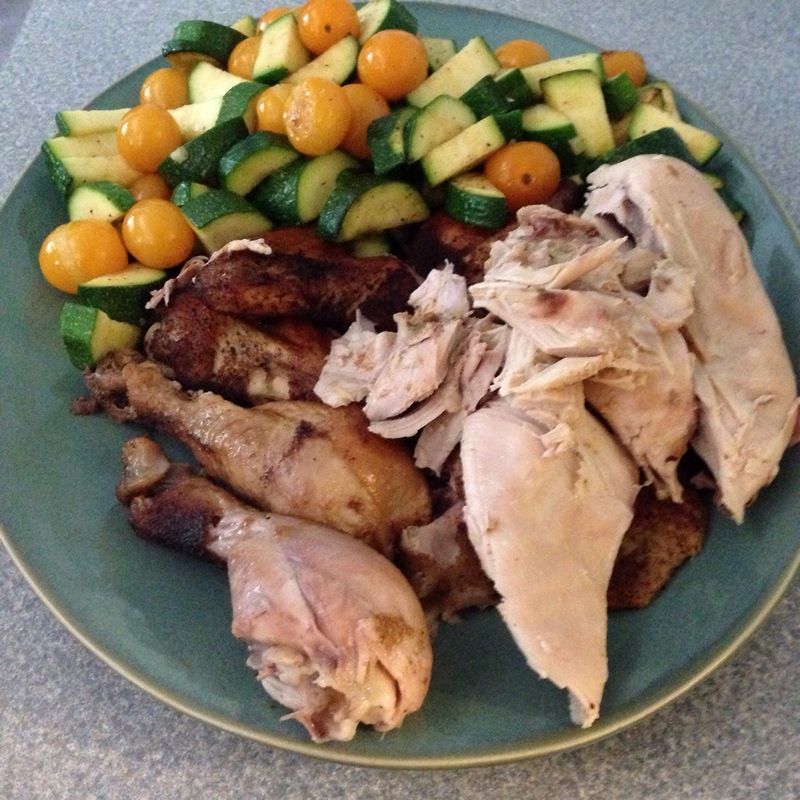 100 Days of Real Food Crockpot Chicken & Sauteed Summer Veggies – stressbuster foods! Are you doing a Whole 30 in the month of August? Do you have any recipes you’d like to share with me? Share away, please! You can follow my recipe collection on my Whole 30 & Paleo Pinterest board.